Sarah Yingst began playing the violin at age 11, using an old instrument her grandfather had found at a garage sale for $50. She studied violin through her school orchestra and private lessons, studying with Katalin Kallay and June DeForest. Sarah eventually joined local orchestras such as the Northwest Indiana Symphony Youth Orchestra and the South Shore Orchestra during her high school years. 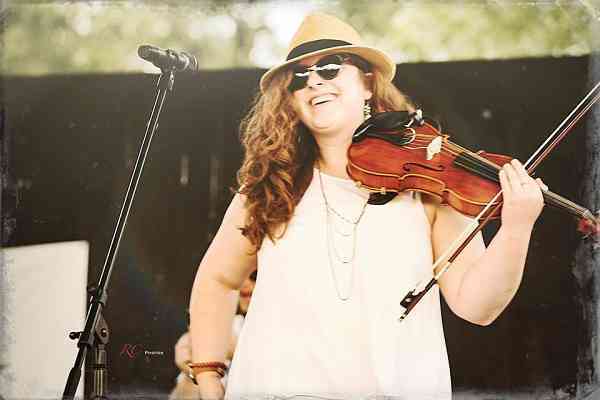 Following her dream of becoming a fiddler, Sarah moved to Nashville, TN., in 2011 to study music at Belmont University. There, she received her Bachelor’s Degree in Commercial Music Performance and gained priceless experience studying with studio recording legend Buddy Spicher, as well as with Billy Contreras, Elisabeth Small (student of Dorothy DeLay), and Tammy Rodgers King. She performed with the Belmont Symphony Orchestra, the Shoals Symphony at UNA, and the World Fiddle Ensemble. Her time in Nashville also provided Sarah with the opportunity to play with recording artists Ricky Skaggs, Michael W. Smith, Laura Bell Bundy, Cece Winans, Hanneke Cassel, and Rayvon Owen. In 2015, Sarah moved to Indianapolis, Indiana where she became heavily involved in the music scene, performing in local bands and giving private music lessons through local stores and schools. This experience revealed a new passion for Sarah—music education. Following this new passion, Sarah began investigating the Suzuki Method of violin instruction. This method spoke to Sarah as an incredibly efficient method of music education for young children. Sarah loves the Suzuki method because it takes students step by step through learning a new instrument – according to how the brain works. In 2017, Sarah became a registered Suzuki violin instructor, training with Charles Krigbaum. This experience was the catalyst for Sarah’s latest adventure, Red Fiddler Music Studios. Red Fiddler Music Studios, a Suzuki Method Studio, is located in Greenwood, IN. This studio uses the traditional Suzuki method and also adds alternative music. Sarah encourages her students to think outside the box with their music by teaching them fiddle tunes and helping them explore a variety of musical genres. For more information, please visit www.redfiddler.com.